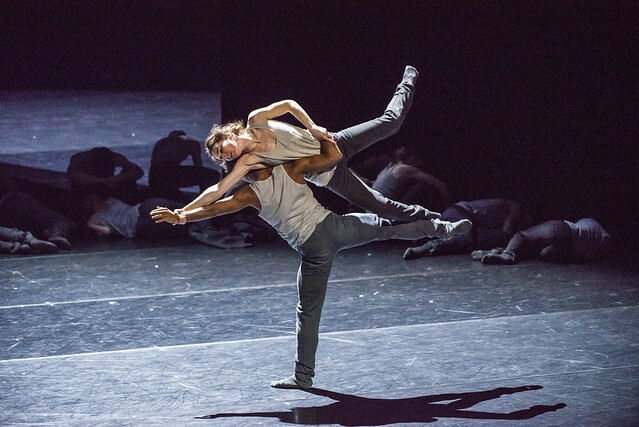 Canadian choreographer Crystal Pite shared her creative process ahead of the premiere of her debut work for The Royal Ballet, Flight Pattern, as part of a behind the scenes documentary for BBC Radio 4. Over a period of two months, Pite shared a no-holds-barred approach to her work, offering insight into her hopes and doubts as the work came to life, from her early vision to a complete staged work for 36 dancers. As well as going into detail to explain her unique style of dance, Pite shared why she chose to set the ballet to Górecki's Symphony No. 3, which includes a powerful soprano lament, to convey the experience of refugees. Other speakers in the full programme include Director of The Royal Ballet Kevin O'Hare, Music Director Koen Kessels, Principal Character Artist Kristen McNally and First Artist Calvin Richardson. Listen to the Behind the Scenes: Crystal Pite documentary in full on BBC Radio 4. The Royal Opera House and the BBC are partners. I caught some of this programme and it was interesting but what a typical BBC idea. Let's put Ballet, a VISUAL art form on the RADIO! I can see that point, but I found that listening to the mental process, and visualizing the described moves gave me a new, and interesting, perspective into choreography.